This page is dedicated to the memory of our friend Ray. Please visit www.RayNichels.com for more information. 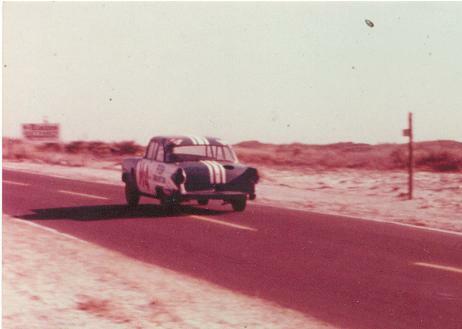 In 1957, Ray Nichels and Indiana-based Nichels Engineering won the pole position (with Banjo Matthews) and won the race (with Cotton Owens) at the NASCAR Grand National Beach Race at Daytona. Two months later, Nichels traveled to Monza, Italy on behalf of Firestone, and set a series of world speed records on the world's highest-banked oval with driver Pat O'Connor behind the wheel of the Chrysler Hemi-powered Kurtis-Kraft roadster. Nichels and O'Connor then returned to the United States where they won the Pole position for the world's most important race, the Indianapolis 500. It is believed Ray Nichels remains to be the only mechanic to ever win the pole at both Daytona and Indianapolis in the same year. With his 1957 Daytona win, Nichels expanded his stock car racing business becoming the "house" racecar builder for Pontiac from 1956-1963. Working directly for Pontiac Gen. Mgr. Semon "Bunkie" Knudsen, Nichels managed Pontiac's involvement in stock car racing from his operations in Highland, Indiana. 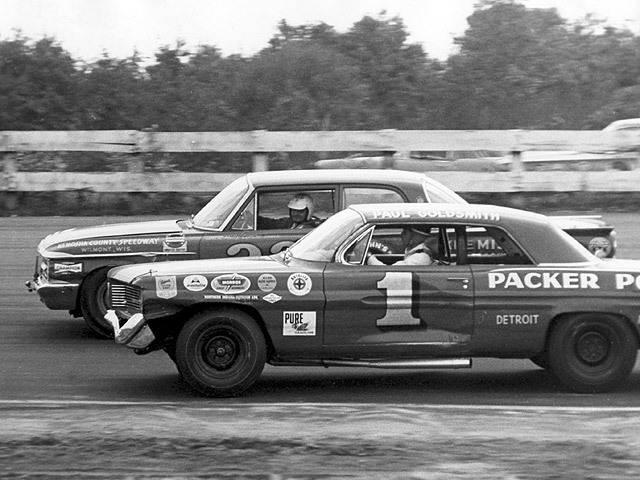 By 1961, under Nichels’ guidance, Pontiac dominated American stock car racing. Nichels Engineering driver, Paul Goldsmith captured the USAC National Championship with 10 wins, 7 poles and 16 top-five finishes in 19 races. Overall Pontiac performance in USAC was 14 wins, 10 poles and 38 top-five finishes in 22 races. In NASCAR, overall Pontiac performance was 30 wins in 52 races. In 1962, Pontiac's dominance under Nichels became even further evident as Nichels and Goldsmith won their 2nd consecutive USAC National Championship with 8 wins, 6 poles and 15 top-five finishes in 20 races. Overall Pontiac performance in USAC was 10 wins, 10 poles and 34 top-five finishes in 22 races. Four Nichels Engineering drivers (Goldsmith, A.J. Foyt, Rodger Ward, and Len Sutton) finished in the seasons Top Ten. In NASCAR, overall Pontiac performance was 22 wins in 53 races, with Joe Weatherly winning the National Championship driving a Nichels Engineering built, Bud Moore-prepped Pontiac. Ray Nichel's resume stands up with the best in American racing. Midgets, Indy cars, and Stock cars, Ray Nichels and those who toiled with him at Nichels Engineering in Highland and Griffith, Indiana built some of the fastest race cars to grace the American racing landscape for over 40 years. 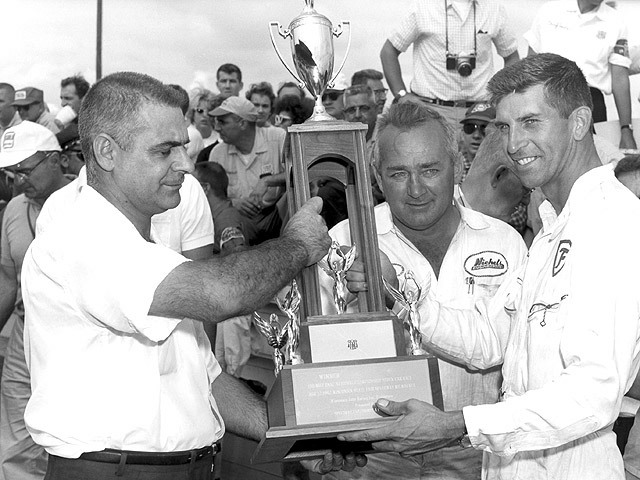 Cotton Owens accepts the trophy for winning the 1957 NASCAR Grand National Beach Race at Daytona. Owens drove a '57 Pontiac for Ray Nichels to Pontiac's first win in NASCAR history. Banjo Matthews (my other grandfather) won the Pole at Daytona Beach in 1957 for Ray Nichels. Cotton won the race. 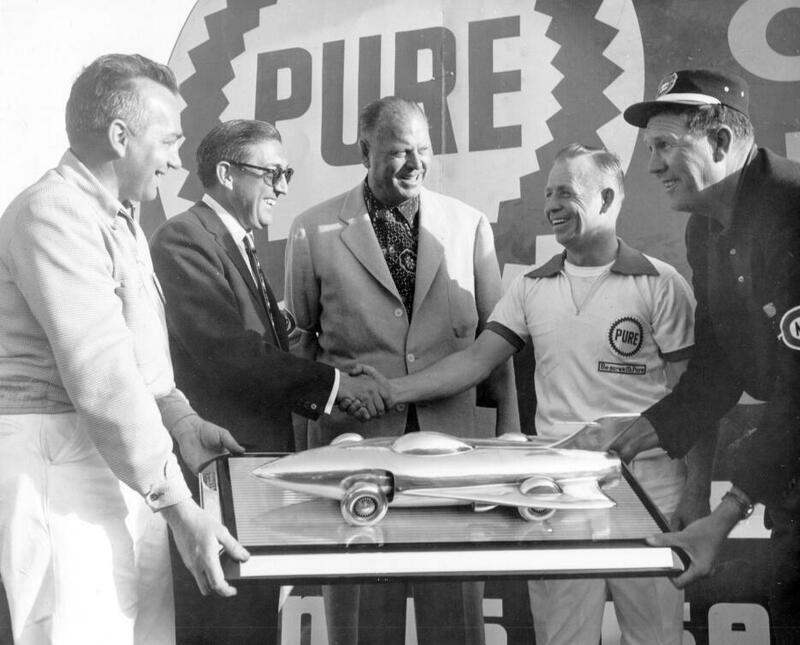 Ray Nichels and Paul Goldsmith are accepting the First Place trophy for winning the 150-mile USAC race at Milwaukee in August of 1962. In addition to their Pontiac activities, Nichels Engineering was also under contract to Firestone for testing and development. 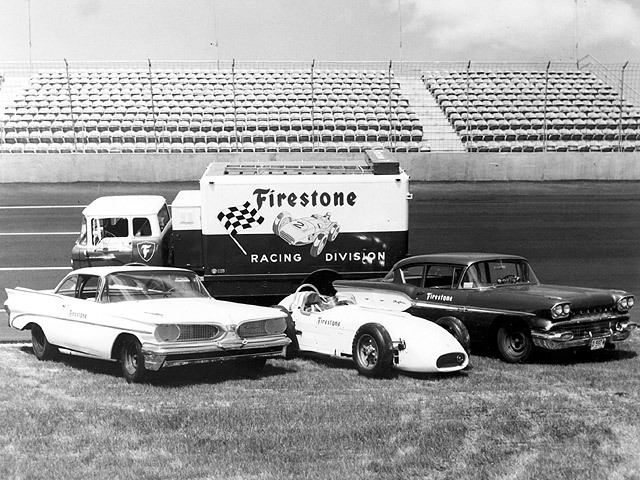 The fleet of test cars pictured here includes a '59 Catalina, a Pontiac-powered Kurtis Indy car, and a '58 Chieftain. 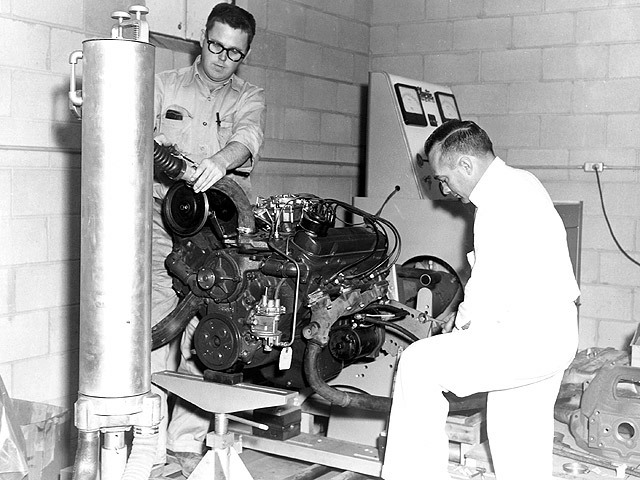 Here's Nichels and an assistant testing a Pontiac V-8 on the dyno. Note the reverse-flow cooling system, indicating a pre-'58 V-8 engine. 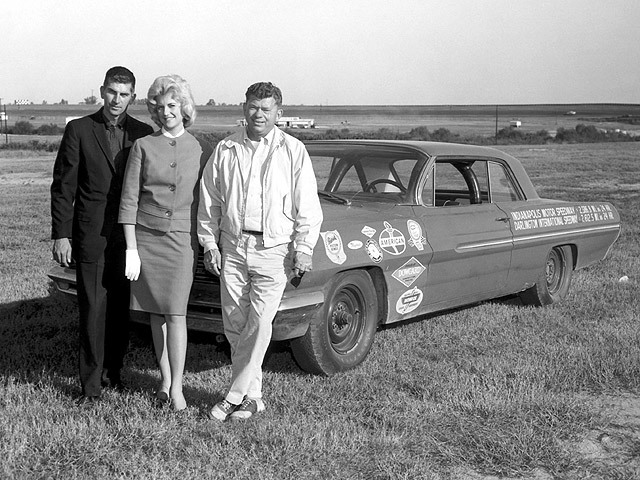 The '61 USAC Stock Car Champion Paul Goldsmith and '61 NASCAR Champion Joe Weatherly are shown during a promotional tour for the record-setting Nichels Engineering Pontiac Teams. Shown in the middle is a teenage Linda Vaughn, Miss Pontiac. Paul Goldsmith began his last season driving the Nichels Engineering Pontiacs by taking the pole at the NASCAR race at Riverside. 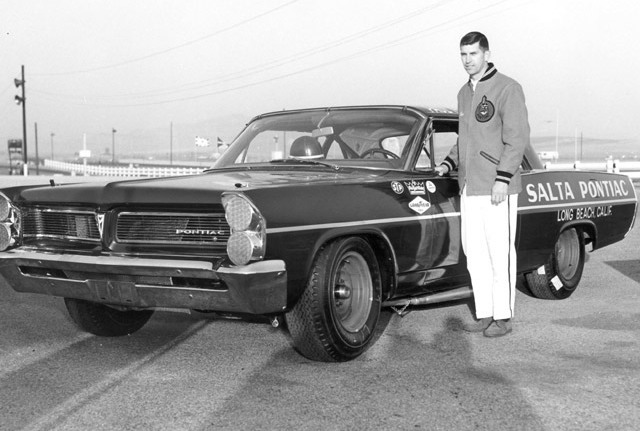 By the middle of the '63 race season he made the change to Chrysler.